Featured Products | Paul Flaherty Plumbing & Heating Co., Inc.
We are the greater Boston, Framingham, and Marlborough area’s most trusted choice for plumbers - and we use our industry’s most trusted products in your homes and buildings. The Rheem Professional Prestige® Hybrid Electric Water Heater is the most efficient water heater available – with up to $4000 in lifetime savings and less than a 2 year payback. Covered by Rheem's 10-year warranty! 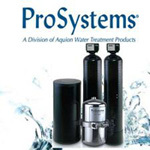 The ProSeries line of water treatment products produced by ProSystems, a division Aquion, Inc., are distributed and installed exclusively through qualified service contractors. Their goal is to provide consumers with cost effective solutions to their water quality needs. For over 88 years, Rheem has delivered hot water solutions with the perfect balance of value, performance and features for every lifestyle and budget. As the best selling brand of water heaters in America, we are sure you will be satisfied with whichever Water Heater you choose for your family's hot water needs. Wolverine Brass products for both the home and commercial buildings are sold only and directly to professional plumbers, these products are extremely dependable, trustworthy and guaranteed. Paul Flaherty Plumbing & Heating offers a Wolverine Brass Lifetime Faucet Warranty, covering labor & materials on Residential Installations. American Standard is a leading North American manufacturer of bath and kitchen products. American Standard America delivers products to a wide range of customers in both residential and commercial markets and for new construction and replacement/remodeling. Waste King food waste disposers are the best garbage disposal units on the market. Featuring stainless steel cutters, 3-bolt mounting systems and sound insulation, they grind finer and don’t jam. The Waste King commitment to quality is backed by the longest In-Home warranties in the industry! Weil-McLain has been the leader in comfort heating since its founding in 1881. Building on a proud tradition of quality and innovation, their mission is to design and build the best comfort heating products on the market. LAARS’ residential and commercial products serve the hydronic boiler, radiant floor heating, volume water heating and industrial process markets with over 17 different products. Bio-Clean is a blend of bacteria and enzymes. The bacteria are natural, not genetically-engineered. The enzyme concentration is the most powerful on the market, yet Bio Clean is safe for people, plumbing and the environment. The Flood Stop will detect water loss caused by a leaking water heater or main and automatically shut off the water supply. Ask our technician for more details when he visits your home. He can supply and install your flood stop right then! Paul Flaherty, Paul Flaherty Plumbing & Heating Co., Inc., (800) 585-1775 contactus@flahertyplumbing.com | Base Content Copyright © 2019 Market Hardware, Inc. | Additional text content Copyright © 2019 Paul Flaherty Plumbing & Heating Co., Inc.	Websites & SEO for Plumbers by Market Hardware, Inc.